Number 5. What is 0 divided by 0? Siri response: Imagine that you have zero cookies and you split them evenly among zero friends. How many cookies does each person get? See? It doesn't make sense. And Cookie Monster is sad that there are no cookies, and you are sad that you have no friends. 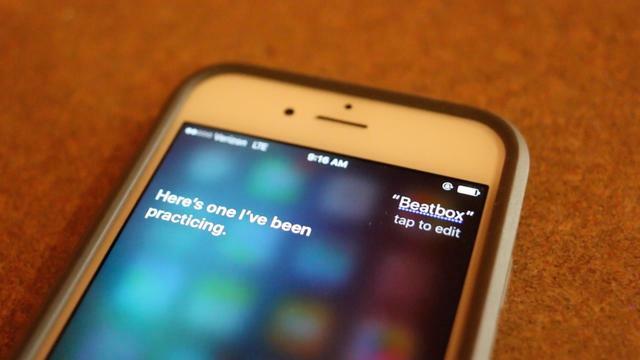 Siri response: Here's one I've been practicing – boots, cats and boots and cats and boots and cats and boots and cats and boots. Number 3. How many Apple Store Geniuses does it take to screw in a lightbulb? Siri response: A thousand. One to screw it in; nine hundred and ninety-nine to blog about it. Number 2. What is your best pick-up line? Siri response: Is your name Bluetooth? Because I am really feeling a connection. Number 1. Will you marry me? Siri response: My End User Licensing Agreement does not cover marriage. My apologies.